Robert Onderdonk (1852-1917) first came to Texas from the east coast in 1879. One of his earliest influences in Texas was seeing Thomas Allen’s painting of Market Plaza. He settled in San Antonio and was a popular teacher. He also began art clubs in both San Antonio and Dallas. 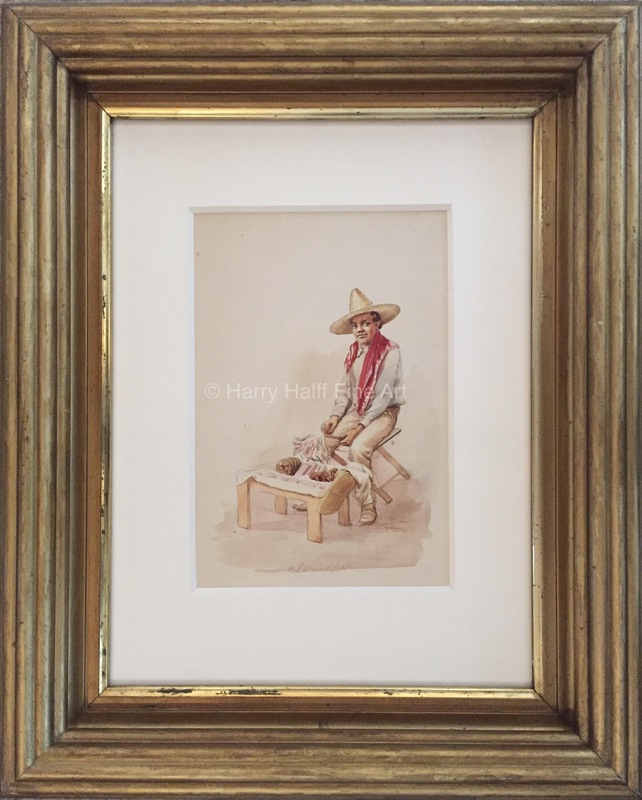 He painted portraits of the well to do in San Antonio, historical Texas subjects, small local landscapes and still-lives, and genre scenes in San Antonio showing the Mexican culture. Both his son Julian and his daughter Eleanor became artists.